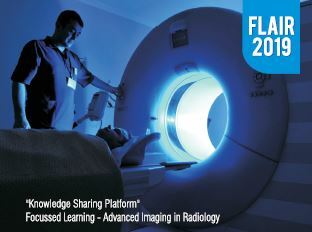 "State Level Nursing Conference on - Updates in Parkinson's Disease & Other Neurological Disorders Causing Disabilities"
"FLAIR 2019 - Focussed Learning : Advanced Imaging in Radiology"
"IBRO-APRC International Neuroscience School 2019"
"Continuing Medical Education (CME) on Infection Prevention and Control (IPC) in a Superspeciality Setting - Facing the Future"
"AMCHSS annual short course series in Epidemiology and Biostatistics for Medical and Health Researchers"
"Achutha Menon Centre Public Health Conference (AMCCON) 2019"
"Workshop on Brain Connectivity Analysis and Conference on Brain Computer Interface"
"Back to Basics 2019 - Short Course on Basics of Cardiac Interventions"
"XXIInd Animal Handling Training programme"
"International Conference on The Essentials of Stroke Care( ICESC) 2018"
"Course - Confocal Raman microscopy & its applications in material science , medical science & biomedical technology"
"Course - Biological safety & efficacy evaluation of medical devices"
"Course - Regulatory Toxicologic Pathology, Module IV"
"State Level Conference on - Updates in Neuro Critical Nursing 2018"
"Workshop on Critical appraisal of literature, Systematic review and Meta-analysis"
"Workshop for Public Health Ethics Case Studies"
"Super EMG India 2018 (Workshop and Neuromuscular Symposium)"
"State Level Conference on Single Ventricle Palliation in Congenital Heart Surgery- Nursing Updates"
"Modular Courses in Regulatory Toxicologic Pathology"
"Avenues of engineering in Biomedical research"
"Continuing Nursing Education on Acute Heart Failure, 20th jan 2018"
"Short Course on Basics of Cardiac Interventions"
"Experimental animal surgery and postoperative supervision"
"National Conference on Health Inequities in India Transformative Research for Action & AMCCON 2018"
"XXIst Animal Handling Training Programme"
"An insight into analytical instruments in research"
"Insights into Cardiovascular Imaging in CT & MRI, November 2017"
"10th TCS Annual Meeting & Workshop on 'Application of Flow Cytometry in Health & Disease'"
"World Stroke Day 2017 - State level conference on Comprehensive Nursing Management of Stroke"
"The 6th Asian Biomaterials Congress"
"Workshop on Analysing Medical And Health Data Using R"
"ONE DAY CME & MASTER SERIES IN NEURORADIOLOGY"
"AMC Seminar - Challenges in achieving universal access to health care - The case of South Africa"
"COGNIZANT- 2017 - State Level Neurosurgical Nursing Conference"
"Modular Courses in 'Regulatory Toxicologic Pathology'"
"Workshop on Approaches to Qualitative Research "
"One-Day Symposium on BIOSAFETY (Registration Closed and No Spot Registration)"
"Workshop on Introduction to Economic Analysis for Health Technology Assessment"
"AMC Seminar - World Health Day 2017 theme"
"AMC Seminar - Impressions on approaches to Universal Health Care across different countries"
"4th G P Oration(G Parthasarathi Oration)"
"International Modular Courses in Regulatory Toxicologic Pathology"
"AMC Seminar - Pragmatic strategies for breast cancer control in LMICs"
"Training in Basics of Cardiac Interventions"
"AMCCON 2017 - Post-Conference Workshop on Participatory Action Research for Health Equity"
"Achutha Menon Centre Public Health Conference (AMCCON) 2017"
"AMC Seminar - Movement for Humanistic Childbirth in Brazil"
"Training programme on Ethics in Health Research"
"Workshop - The New Regulations on Drug Trials in India"
"AMC Seminar - Prioritizing interventions for NCD prevention and control"
"Geospatial Technologies in Public Health"
"3rd GP Oration (G.ParthaSarathi Oration)"
"Workshop - Pediatric Epilepsy 2015"
"International Symposium on Photonics Applications and Nanomaterials"
"Workshop - Analysing Medical And Health Data Using R"
"Workshop on Article Writing for Medical Microbiologists"
"Basic Training on Ethics in Health Research"
"Workshop on Perioperative Trans Esophageal Echo. Venue - Auditorium II"
"Best Practices in utilizing Calibration Facilities & Calibrated Equipment"
"National Symposium on Endovascular Interventions in Acute Stroke & Workshop on Transcranial Doppler (TCD) and Carotid Duplex"
"Indo-Danish Symposium on Musculoskeletal Stem Cells and Tissue Regeneration"
"National Conference on Comprehensive Nursing Management in Stroke One Step Ahead"
"Electroencephalography and Video EEG Workshop"
"Continuing Nursing Education on Basic Concepts in Interventional Cardiology"
"Training in Animal Handling "
"Invitation Talk - Evidence Based Management of Valvular Heart Disease"
"Workshop on Analysing Medical and Health Data Using 'R'"
"Basic Training on Ethics in Public Health Practice"
"Invitation - CME on "Need for Leucoreduction""
"Insights into Cardiovascular Imaging in CT & MRI"
"Live operative workshop - Invited Talks in Neurosurgery"
"World No Tobacco Day 2014 - Short Film Contest for Students and Young Adults"
"ICPD +20 : Gains & Gaps"
"RTPMED-2013 : Intensive Residential Training Programme"
"Workshop on Meta-Aanlysis in Clinical Studies"
"Basic Concepts in Interventional Cardiology (Registration Closed & No Spot Registration) "
"Training in Basics of Cardiac Interventions "
Click here for Congress Brochure. "National Conference on PCNC - Paediatric Cardiac Nursing Clinical Updates (Registration Closed & No Spot Registration) "
"Workshop on Analyzing Medical and Health Data using R"
"Basic Training on Ethics in Health Research - A Short Course for Researchers and Research Administrators"
"Workshop on English Language skill for Effective Scientific communication"
"CME on Pain Management "
"Workshop on Analyzing Medical and Health Data using R "
"Post - Hospital Stroke Physiotherapy "
"World Evironment Day Celebration "
"Wet Workshop on Flow Cytometry (TCS - 2012) "
" EEG - fMRI WORKSHOP "
"WORLD HEALTH DAY 2012 Celebration on 7th April "
"World Water Day 2012 on 22 march"
"Animal Welfare and Ethics on 23rd March 2012"
"Indo - Swiss Symposium on 27-28 Jan 2012 with 5-CME Credits"
"13th Annual Conference Paediatric Cardiac Society of India(PCSI) 2011"
"4th Annual Conference of Pulmonary Vascular Research Institute (PVRI)"
"World Elders Day 2011 - Ageing Kerala - a Challenge"
"International Conference on Futuristic Science & Technology in Frontier Areas"
"International Clinical Engineering Workshop - India"
"Advanced Paediatric Neuro Imaging & Research Methodology"
CME on : "Clinical Transfusion Practice"
"4thNational Conference of ISSR 2010"
"5th National Sleep Medicine Course NSMC 2010"
"13th Annual Conference of Indian Society of Neuro Radiology (ISNR 2010)"
"Annual Conference of the Skull Base Surgery Society of India"